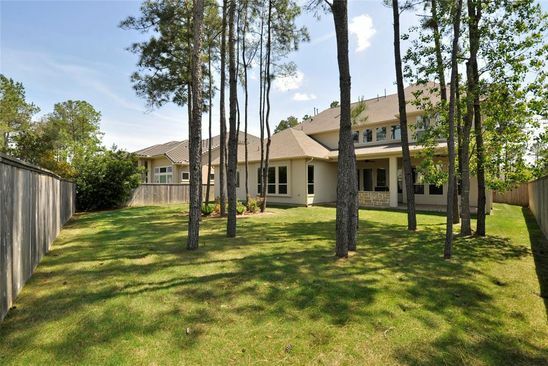 Creekside Park is a neighborhood within The Woodlands, Texas, which is located in the Houston metropolitan area. Creekside Park is excellent for those who enjoy quiet surroundings, as the streets are generally especially peaceful. Public green spaces aren't well-situated, which results in them being very hard to access from a lot of locations in this neighborhood. The housing stock of Creekside Park is composed predominantly of single detached homes and townhouses. A majority of the housing growth in this neighborhood has occurred since the year 2000. This neighborhood is primarily composed of three bedroom and four or more bedroom homes. Roughly 90% of the population of this neighborhood own their home whereas the rest are renters. A portion of residents in Creekside Park may be able to buy their groceries on foot, while others will have to turn to another means of transportation. There are also a few choices for those who value restaurants in close proximity. Regarding education, high schools and primary schools are not especially abundant in Creekside Park, and thus not always within walking distance. Locals have the option of public and private schools at both the elementary and high school level. The favored transportation option in this part of the city is very often a car. It is very convenient to find a parking spot. However, it is very inconvenient for pedestrians to get around in Creekside Park since almost no daily needs can be met by walking.